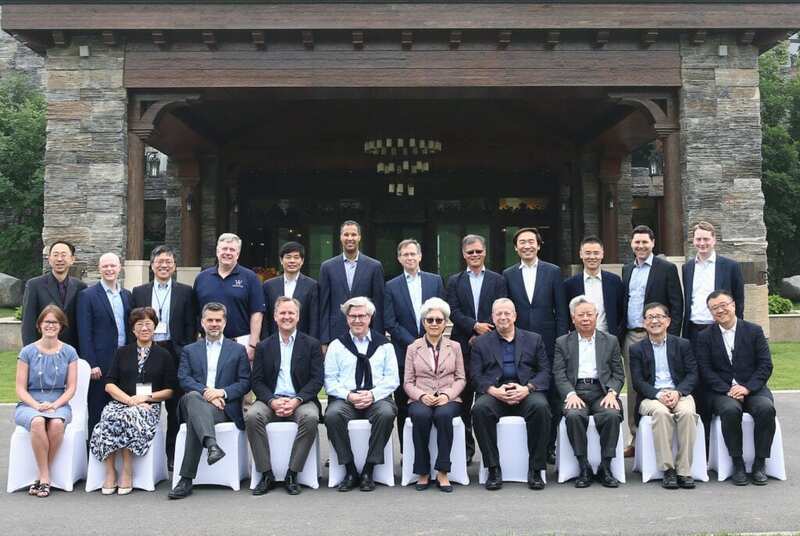 BEIJING – The Brookings John L. Thornton China Center and The Annenberg Foundation Trust at Sunnylands hosted the third U.S.-China Leaders Forum at the Diaoyutai State Guesthouse and Jinhai Lake Resort in Beijing, China from May 11 to May 13, 2018. The Forum, which was held in China for the first time and sponsored locally by Tsinghua University, brought together a select group of participants that included high-level policymakers, business entrepreneurs, innovators, military strategists, scholars, and public intellectuals to develop and promote ideas for increased collaboration between the two countries. As the result of Forum discussions on the state of U.S.-China relations, economic and trade ties, regional and global security, and technological innovation and artificial intelligence, participants developed policy recommendations that will be shared with leaders in both countries with the goal of ensuring that the bilateral relationship continues to move forward despite significant tensions on various fronts. Forum participants also networked with a wide array of government and business leaders and scholars from both countries at a luncheon at the Diaoyutai State Guesthouse, where People’s Bank of China Governor Yi Gang provided keynote remarks. This gathering was followed by two days of private discussions at Jinhai Lake. As part of the Forum, American participants also had the opportunity to meet with the vice president of China, Wang Qishan, who provided an historical perspective on recent developments in the U.S.-China relationship. Jerry Yang, Founding Partner, AME Cloud Ventures; Founder, Yahoo Inc.